This does not look anything like me, as some people like to do for their avatars. Well, I mean, I do have red hair and I’m short, and I am probably that pale, and I do sometimes wear pig tails, but I’m not that skinny or you know… a vampire. Also, I would never ever wear a skirt like that.Â This is more like wishful thinking. What would I like to look like if I could. Yup, this would probably be it. So, thanks to the wonderful world of avatars, I can look like that online, while playing dorked out games that I love. The pic on the left is my gamertag picture or whatever that is called. How I took that picture with my avatar’s eyes closed I will never know. But it’s cool, so I kept it. I know, you’re jealous. It’s okay, many people are. Latelly I’ve been playing all the Lego games. Lego Indiana Jones, Lego Star Wars, and I’ve recently just started Lego Batman. I also have the new Prince of Persia that I need to start too. But I’ve been in the puzzle-y mood so Lego it has been.Â I also think that I may be moving my time from xbox to knitting. I’m like that ya see. I do things in phases, in an all or nothing way. I do one thing and I do it a lot and I mean A LOT. Then I burn out or just get over it and move on to the next thing. I feel like I’m in a transition stage at the moment between xbox and knitting. We will have to see what wins out. 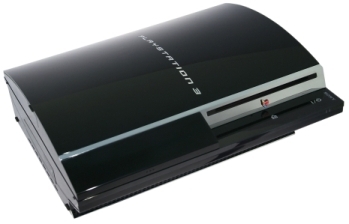 Labor Day weekend, Mike and I purchased a PS3. We had acquired quite a number of gift certificates for Best Buy, and a couple of ’em were about to expire, so we decided a PS3 was the best use for ’em. We bought it mainly for the Blu-Ray player. I do play some Playstation games, but not enough to warrant spending that much money. However, we are movie folk, so it does make sense from that stand point. However, he manages to put the PrePaid Visas in twice, once as cash, and once as gift cards. Apparently, there’s no easy way to correct this, so they void out the sale to start over. Then, they realize the PrePaid Visas are screwed. The way they were rung up means they can’t be used again. The manager comes over and attempts to fix this but can’t for whatever reason. He says to give him about 5-10 minutes so he can call the Visa bank to get it situated. 15 minutes later he comes back and tells us that bank is closed. After another 10 or so minutes, he finally issues a gift certificate to us in the amount of $220, so that we can finally get our PS3 and leave. Not once during this whole process do I get upset of huffy or anything. I was pretty impressed with myself. The manager was super nice and seemed truly concerned about getting us situated. However, looking back on the whole situation, I did get slightly annoyed at the cashier’s nonchalant attitude about screwing up. He seemed to be like “oh well, NEXT!”Â Granted, he looked like he was about 17 years old, but still. Take some ownership for screwing up royally. Oh well.. such is life. I was surprised that when we got home I wasn’t super crazy psyched like “Hook it up! Hook it up! NOW!”Â I wait a little bit, then finally decide to attempt to hook it myself. It involved me disconnecting the Xbox 360 and our Dish DVR… don’t ask. Finally got it up, set it up, pop the game in. Ooooooh Pretty. I play for about 45 minutes, then go read or something. SHOCKING! I would usually sit and play for a minimum of 4 hours on a new game. And it wasn’t cuz it was boring. It was beautiful and fun. I’ve played 2 or 3 more times since then. Mostly short 20-30 minute bursts. 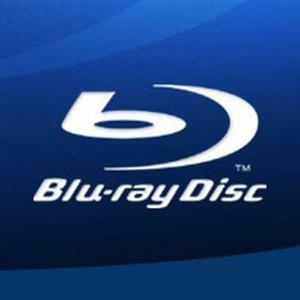 I have watched a couple Blu-Ray DVDs, and a few DVDs (awesome upconverting!!). I think my next post will be about one of the Blu-Ray movies I watched. It was so monumental, I just have to discuss.